on january 13 1898 the french newspaper l’aurore published an open letter by zola accusing the government of france of antisemitism in the alfred dreyfus affair. the headline of the front page was a big bold banner which stated j'accuse! over time j'accuse! has become a generic expression of outrage against powerful forces. in light of the latest information about the deepwater horizon catastrophe there is yet another instance when the spirit of j'accuse! could and should be applied. when I think of zola, I think of my bucket list - one item on my bucket list is to read the twenty novels in zola's rougon-macquart cycle. I fessed up to this goal a couple years ago, unfortunately, I'm no better off today than I was then. let's see it's a new year and this year I'm trying to get off to a good start making reasonable goals: hmmmm, the average life expectancy of women in the u.s. is now approximately 79 years. I only have 17 books left in the cycle, if I read at least one book each year, and I make it to the average life expectancy, I just may be able to cross another item off my bucket list! sounds like a reasonable goal! I only read one of zola's stories "Nana" as a french major but I love his writing. There was a French film entitled J'Accuse made after WWI in order to sway the country against another world war. Good luck with the bucket list. That squirrel looks sooo cold! But a good image of feeding on uncovered truth instead of leaving it buried. I don't have a bucket list! I better make one before it's too late to do anything! ha. This is a folk song I grew up with. Thanks for the memories, dear mouse. Best of luck you your booky bucket list. Mine is far too long and leaning ever-so-precariously to the left. I've only ever read Zola's Earth - there are elements of the story that have stayed with me for many years. 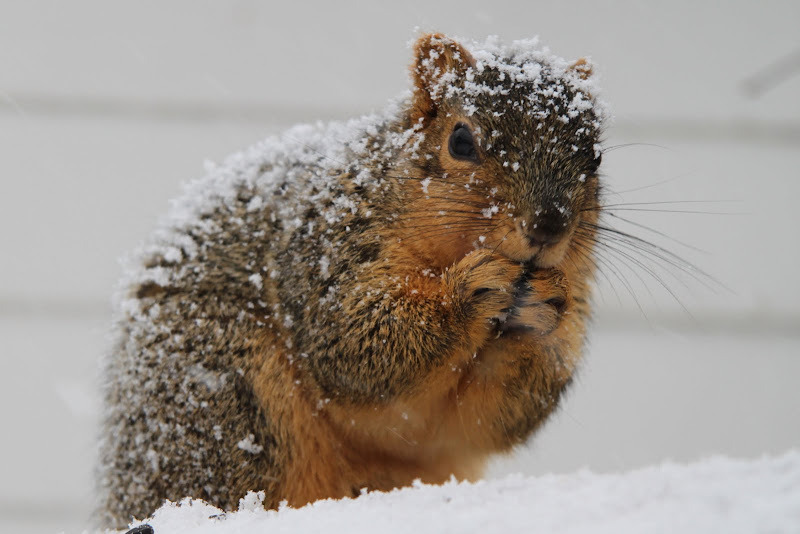 Love that squirrel - but I really thinks he needs a woolly sweater, and a hat!